Marcel Robinson, also known as Marquee Sounds, is a music producer, entrepreneur, and owner of Marquee Sounds, LLC. Marcel first started making beats during his year and a half vocational training at Job Corps Treasure Island (2002) and was instantly enamored with the process of it all. After graduating from Job Corps, he started working a full-time job, while still pursuing a career in music production and entrepreneurship. 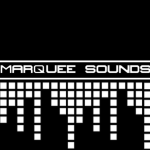 Specializing in many Hip Hop, R&B, and other sub-genres, Marquee Sounds reflects the old school traditions, but with a twist. His sound has a clean industry quality sound that still has a true gritty underground style. Marcel has been operating Marquee Sounds, LLC full-time since 2014 and hopes for it to serve as a source for many music artists and producers worldwide achieve the perfect sound for their next hit. Musical Influences include DJ Premier, Dr.Dre, 9th Wonder, J Dilla, DJ Quik and many others.